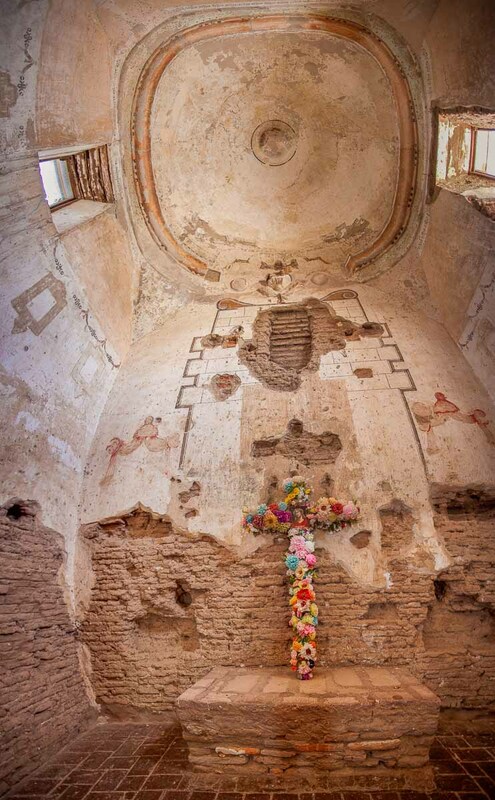 There are two ways to appreciate the mission church at Tumacácori—its historic significance and its architectural qualities. 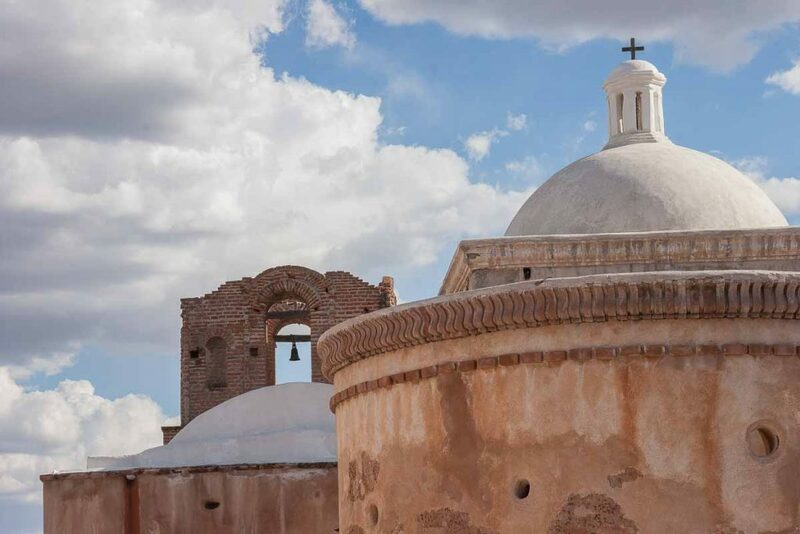 The long history of Tumacácori begins with Father Eusebio Francisco Kino who came to the the Santa Cruz River valley at the request of the O’odham people who lived there. He established a mission at Guevavi and a visitas at Tumacácori in 1691, the first Spanish settlement in the future state of Arizona. He continued his work with native Americans in the region until his death in 1711. Spain continued to exert influence in the area that is now southern Arizona for over a hundred and fifty years leaving an indelible mark still visible today. 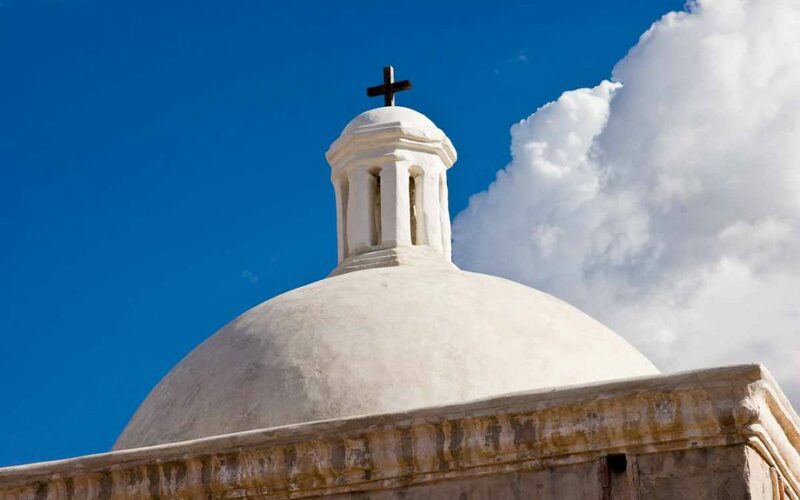 Work on the church at its present location began in 1800 by Franciscan missionaries and took 24 years in fits and starts to reach the state of completion we see today. 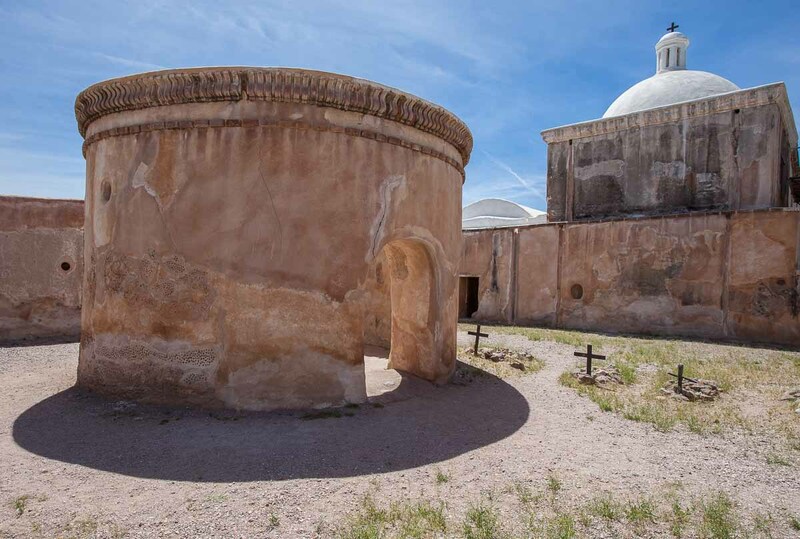 The mission was abandened in 1848 and began its slow deterioration. 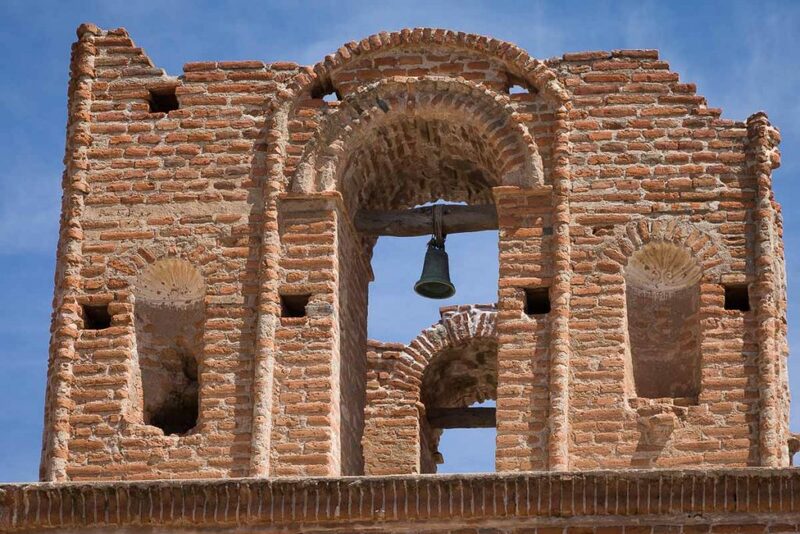 In 1908, Tumacácori was declared a National Monument by President Theodore Roosevelt and work to preserve the ruin was begun. In 1990 it was redesigned as a National Historical Park. Architecturally, the church is typical of the Spanish Colonial style that can be seen in historic buildings from Mexico to California. Standing in the entrance, the domed sanctuary illuminated by windows high in the walls is an impressive sight. To the right is the baptistery with its domed ceiling under the bell tower. One can only imagine the baroque statues of the saints, paintings of the apostles and carvings depicting the stations of the cross that would have adorned the walls. 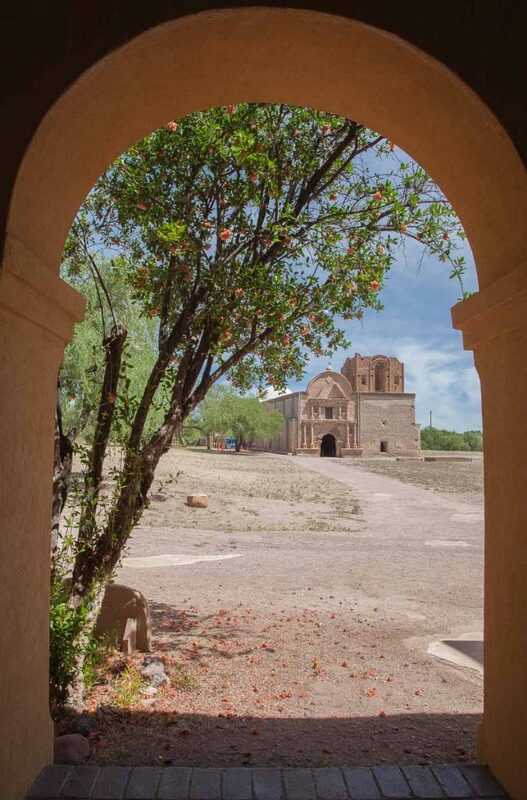 The exterior of Tumacácori is equally impressive with the beautiful arch of the door surrounded by pillars. The arch of the bell tower echos the doorway and although the doom that would have capped it was never built, it is still a powerful structure. 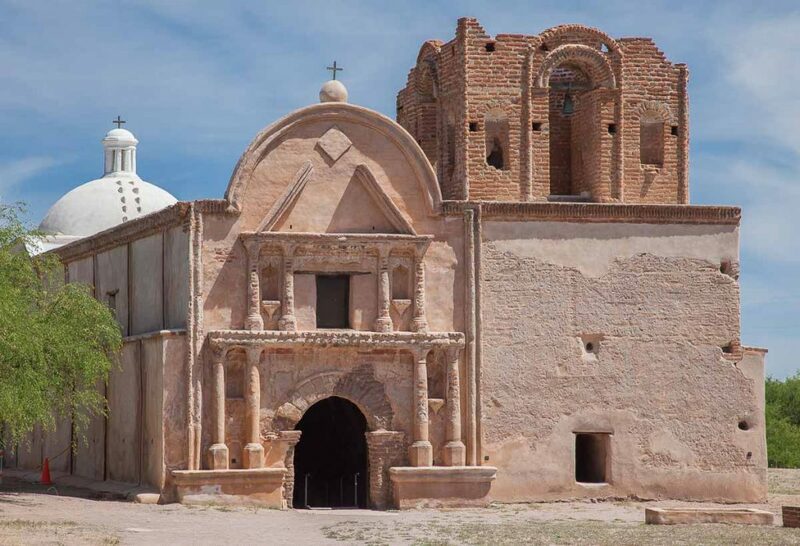 Tumacácori would have been an impressive landmark along the Santa Cruz River and a testament to the persistent efforts of the Spanish missionaries to bring Christianity to the New World. When you visit Tumacácori National Historical Park you can take a self-guided tour or one lead by a Park Ranger. La Fiesta de Tumacácori is held the first full weekend of December every year to celebrate the many cultures that were historically and are presently associated with the Santa Cruz Valley. During the winter months, artisans demonstrate traditional crafts on the grounds of the mission. 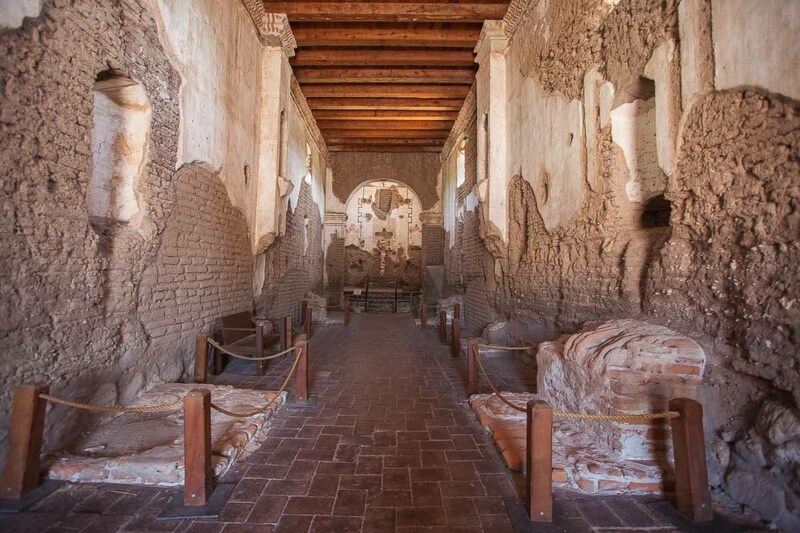 Go to the Tumacácori National Historical Park website for specific days and times for these activities. 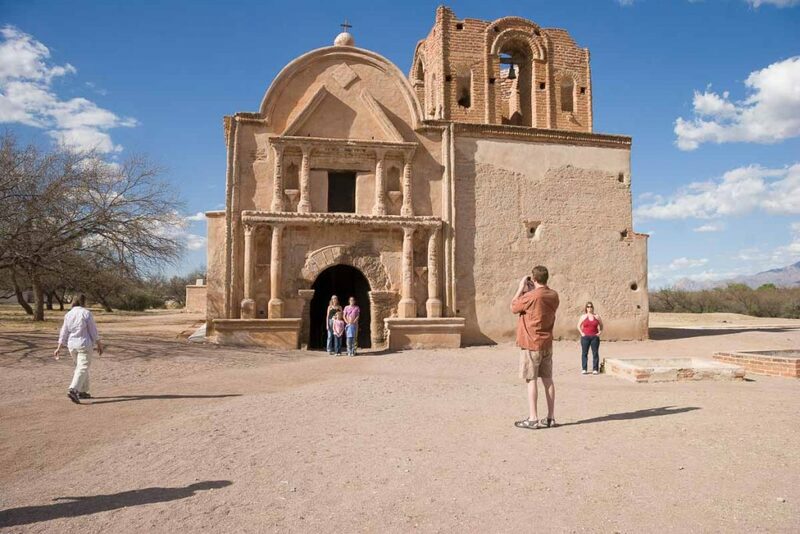 To find your way to Tumacácori, go to the Nogales to Tucson Road Trip Guide on the US Route 89 Appreciation Society website.